Shugyō 修行 means “determined training that fosters enlightenment”. Its purpose is to “tighten the slack”, toughen the body, and polish the spirit. Some senseis talk that our training is as spiral motion. 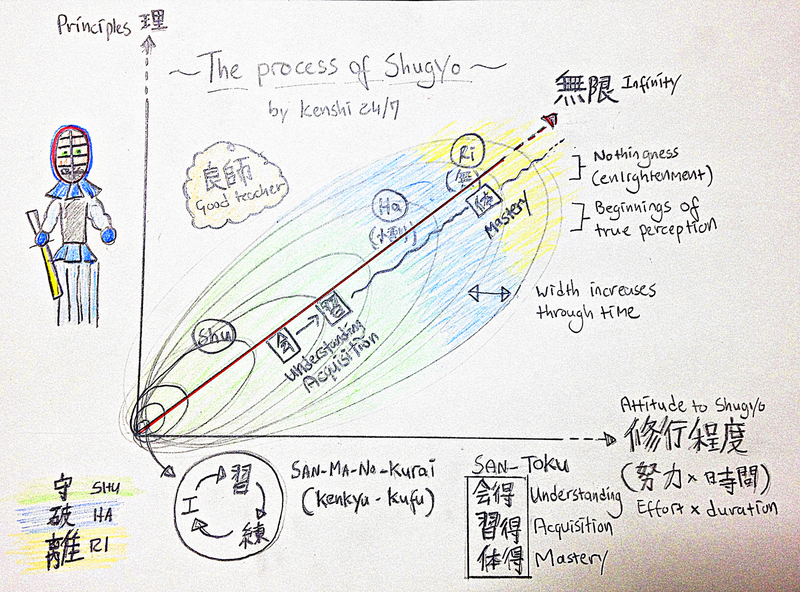 I found nice article about process of Shugyō - The shugyo spiral . It is focused to kendo, but I think that it is similarly for judó and other budó too.